The 23-year-old has spent the past four years on scholarship in the United States, playing at college level for South Florida. "It sounds cliche but it's a dream come true to go professional," she said. "It's something I've always wanted to do and to do it with a club like City is really exciting. "If someone would have told me a few years ago I'd be in this position, I probably would have laughed at them. 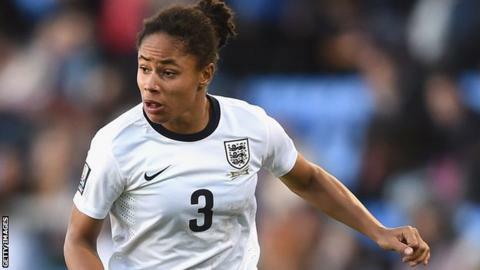 Stokes, who started her career with Sunderland, made her senior debut for England in January 2014 and has since made 10 appearances for Mark Sampson's side, scoring once.